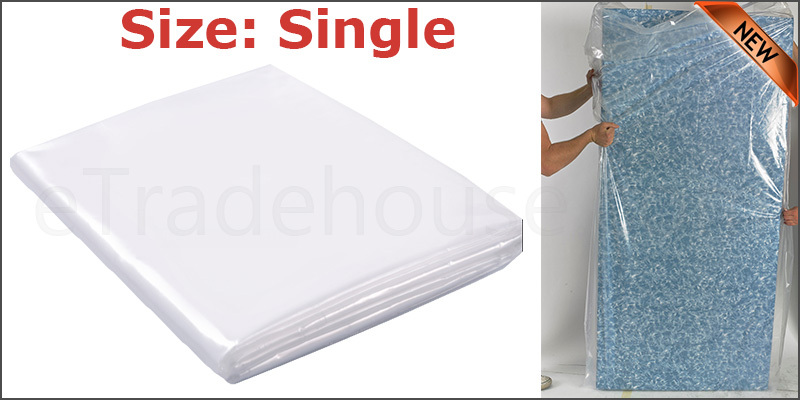 Plastic Mattress Bag/SINGLE 37"(width) X 50" X 90.5" (Length) X3mil ,Gusset:13"
Professional quality, Waterproof Tough Strong & Robust 400 gauge Clear Polythene Mattress Bag. Our covers are used by the trade & most reputable bed & removal companies. Great for moving house or storing and removal of mattresses when not in use. The bags are designed for ease of use, for the professional & DIY users alike. 3. Do not drag mattress with bag, lift and carry together with a helper.